There are certain actions that need to happen before a visitor can purchase—visit a product detail page, add to cart, checkout, make it through checkout and then purchase. To decide on how to optimize an ecommerce website, it’s helpful to narrow down the options of what to work on first by focusing on these required steps. Every section of the site then has a purpose: getting the user closer to taking one of those necessary steps. When analysing a homepage or category grid page, focus on making changes that will get more visits to the product detail page. When analysing a product detail page, focus on making changes that will increase the amount of visits that will click the add to cart button. 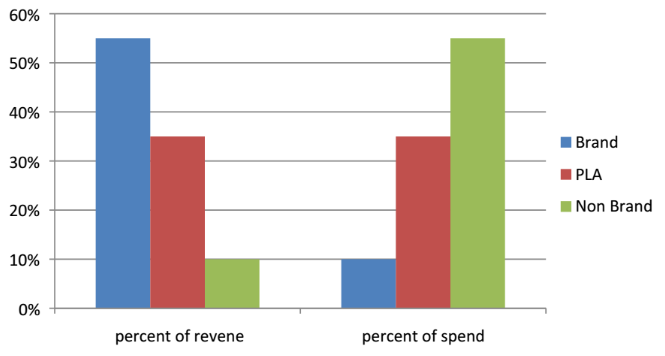 On the cart – what’s going to get more clicks on checkout? In check out – what’s going to get more clicks on the order submit button? There is plenty to do to decrease friction and increase motivation on each site section to get visitors from one step to the next. The best way to prioritize is to work backwards. When a visitor first gets to the site, their purpose is very unclear, there are a million different reasons why that visitor showed up—how do you optimize for that? 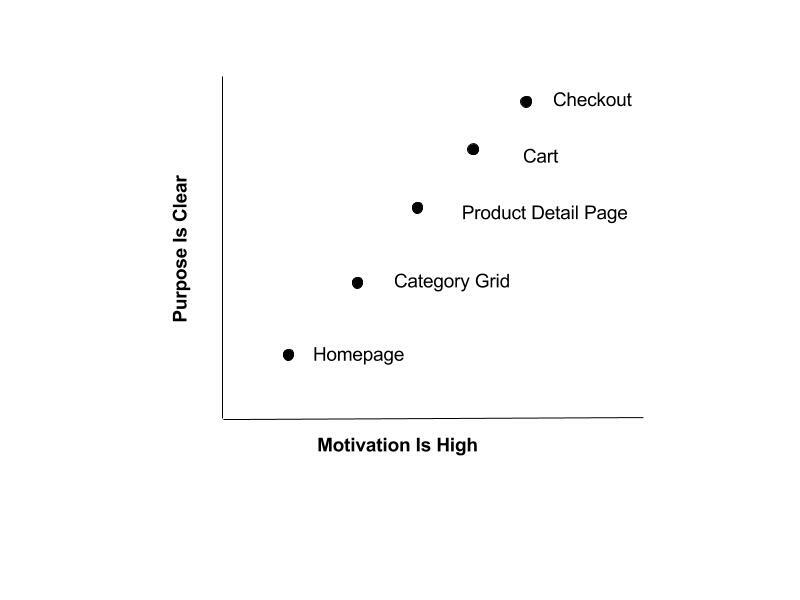 By comparison, when a user is in the checkout process, their motivation is high and their purpose is clear – they want to checkout with the items they’ve selected. So the ideas of what to do to increase checkout conversion are easier to get to: improve the form fields, decrease distraction, increase confidence. Expectations for web analytics is often misplaced. With so much data available, the answer to the question, “what is causing the site to make/lose money” must be in there somewhere. The truth is that the answer is not in the data to begin with. That’s not the point of the tool. It doesn’t give you answers, it gives you questions to ask. Data isn’t the solution. It’s the ideas that come from the data, applied to see what happens next, that is the solution. 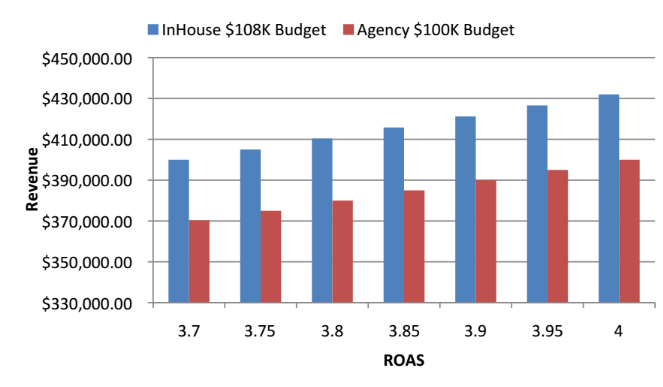 Small data can instigate just as much of a good idea for what to do next as big data. Learning from your customers to improve your website can be gathered in multiple ways. 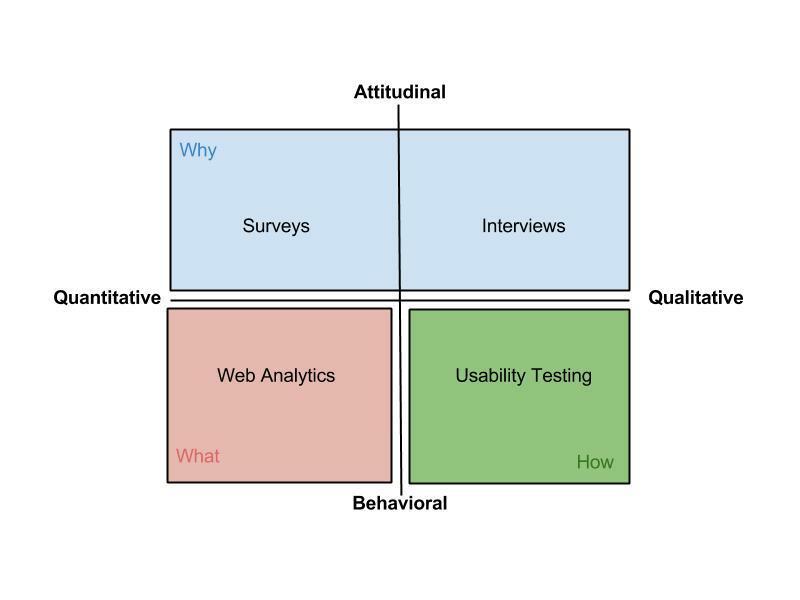 Each of the four quadrants in the diagram below provides different kinds of information, each important in it’s own way. In the Attitudinal half, you receive information about what people say they would do or what they say they want. A lot of surveys and interviews can be unreliable. User’s memories are fallible and can miss details that are important to design. People also say things that they think you want to hear so as to not be impolite or against the grain. That said, some simple survey questions can be revelatory when related to user’s motivation, as in “why are you visiting the site today?” This combined with another simple question, “were you able to accomplish your task?” can give great insight. 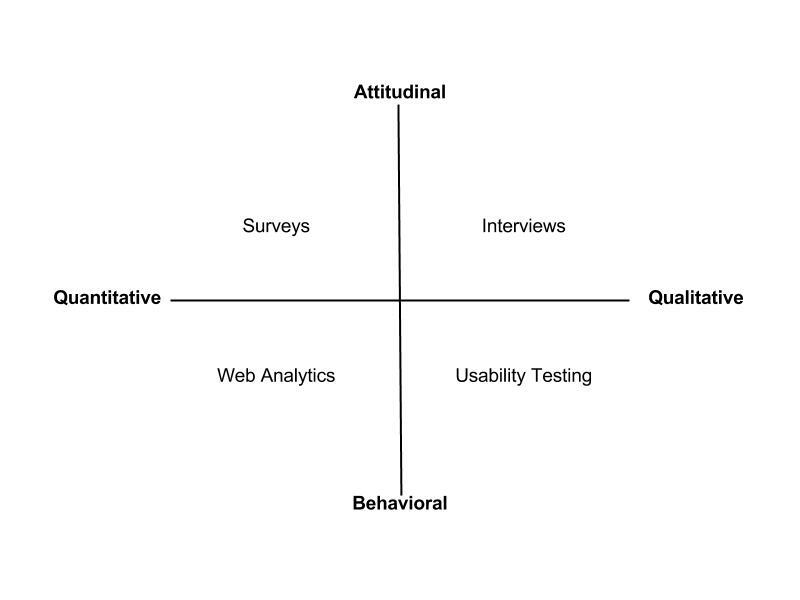 The behavioral half gives you the advantage of seeing what users actually do not just what they say they’ll do. 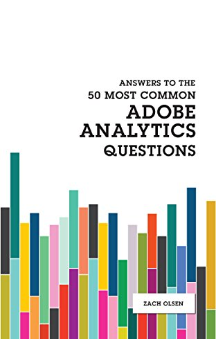 Web analytics can give huge amounts of quantitative data that you can’t find anywhere else, but the caveat with all that data is that it doesn’t tell you why like surveys will and it doesn’t tell you how. Deciphering how users interact with a product detail page or how they navigate from page to page isn’t easy with web analytics. There are pathing reports but they don’t help much. This is where usability testing comes in. It allows you to watch users and learn how they attempt to perform tasks. This gives you insights that aren’t accessible from any other source. Relying solely on one source would be a mistake. Combining any two is worth more than the sum of their parts. 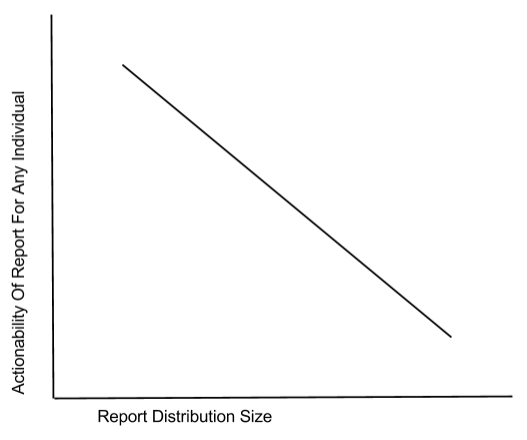 Heretofore is my Law of Diminishing Marginal Utility Of Web Analytics Reporting: The larger the distribution list of your web analytics report, the less valuable that report is to any individual. Wherever there is web analytics there are big, watered-down reports being generated and sent to lots of people every monday – it doesn’t have to be this way. Sending out reports to the entire company starts with the best intentions. Everyone wants to know what is going on with the website. Requests are made to include a little bit of everything for everyone: overview of total traffic and conversion rate, ROAS for the marketing team, best selling products for merchandising, cart conversion funnel for the UX team, social likes and tweet counts for the brand team, site response times for web development, customer service stats, and the list goes on. Pretty soon it’s a report that takes hours to create and when it arrives Monday morning it is swiftly ignored by everyone in the company. One of the basic productivity concepts of David Allen’s book Getting Things Done, is to spread your actions over all the contexts you are acting in. Your daily actions happen in some very clearly separated areas, called contexts: @Home, @Work, @Computer @Store, for example. It doesn’t do you any good to remember to buy toilet paper when you’re at work. So on your to-do list you can tag your action to buy toilet paper with @store, and when you are in that specific context you only need to focus on those applicable actions. The same concept can be applied to web analytics reporting. 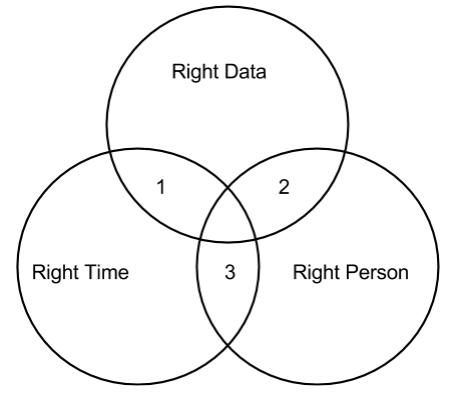 The right data needs to be available at the right time to the right person. If any of those three don’t match up, the report is just noise. Only data that is actionable on behalf of the person consuming it is needed. Consider only consuming information that applies to your circle of influence. The point of web analytics data is to incite change. If you do not have access to levers then what good does the data do you if you can’t pull them? Maybe someday you will have access to the levers and the data will wait happily for you until then. Monday is an arbitrary day to look at your reports unless you only make decisions on what to do next on Mondays. Your job probably requires looking at the data that matters to you at different times, all the time. The right data is discovered when you have the right person in the room and you’re able to discuss what business objectives they have that can be mapped to trackable site behaviors and what levers they are in charge of. Looking at the criteria of A, B and C, a weekly mega-report is pointless. Full of nothing helpful to anyone. instead, individualized reports tailored to the user, available and accessible when the user needs them, is the only rational approach. Web analytics tools suffer from a lack of constraint. With so many things that can be tracked, all of it is and served up all at once to the unsuspecting user who opens up the reporting interface. The amount of data creates a nagging feeling that will start to follow you around, telling you that you’re not using the tool to it’s full potential. Pretty soon you start coming up with business objectives to match the reports you have instead of focusing on your business objectives and then reporting on them second. Eventually you’re looking at everything and not deciding on anything. Just because there are top entry pages, cart additions, time spent per visit, device types, paths, internal search terms, referring URLs and on and on, it doesn’t mean you need to pay attention to them. At least not right now, and especially not all at once. Focus on one site section or source of traffic along with a couple metrics. Make changes to that site section or inbound traffic source. Measure your success and then move to the next one. All those other metrics and reports in the interface will happily continue to gather data and wait for you to make them relevant. There are those who say that say SEO is a con and those that defend it saying it helps many, many people. I pay to have the oil changed on my car. Of course, I could do it myself. It would be cheaper, I should know my own car and working on it would give me the best results since it’s my car. But I choose not to, and so do many other people – 7 billion dollars a year worth. Am I and all these people stupid? Don’t we not know we could do it ourselves? Is the oil change industry a huge con? Is it possible that the workers in an oil change shop take advantage of their customers by selling them things they don’t need? You bet they do. It happens every day. That doesn’t make it right, but unfortunately that’s what happens when there is an imbalance of information. With so much data available with web analytics tools, one would think that businesses would become more confident in their understanding of themselves and their customers. But more data leads to just as much uncertainty which is described with a perfect analogy in this New York Times article. “The larger the island of knowledge grows, the longer the shoreline — where knowledge meets ignorance — extends. The more we know, the more we can ask. Questions don’t give way to answers so much as the two proliferate together. Answers breed questions. Curiosity isn’t merely a static disposition but rather a passion of the mind that is ceaselessly earned and nurtured. Exhilaration and surprise on one side, confusion and frustration on the other – as any web analyst would attest – sums up web analytics perfectly. The reason apps that don’t have any revenue but millions of users are worth so much is because “attention is monetizable”. The assumption is that once advertisers are able to access all of that attention they’ll pay a lot for the privilege for putting their ads in front of it. But money shouldn’t always follow where the most eyeballs are. It’s possible that all the attention in the world can’t make up for a medium that is just bad for advertising. I really like Bob Hoffman’s idea that the best mediums for advertising are those that are entertainment mediums like TV and Radio because you are accustomed to entertainment media carrying advertising. The internet is part communication medium, part information medium, and part entertainment medium. Meaning that when you are using it for any reason other than entertainment the advertising gets in the way, is ignored and is ineffective. 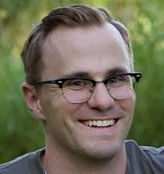 “What if you picked up the telephone and instead of getting a dial tone you got an ad? Those high value/high attention apps are more like telephones and dictionaries. This isn’t to say that advertisers won’t spend a ton of money on ads in front of that attention – the ways advertising budgets are squandered are infinite – I’m just saying it could have been better spent elsewhere. For retailers the omni-channel approach is to let the customer decide how they want to shop – whether it be online or in store, mobile or desktop, or any other combination – and then accommodate those preferences in the most frictionless way possible. The biggest reason an organization struggles with developing an omni-channel approach isn’t as much about technology but misalignment with incentives within the organization. The ecommerce team is incentivized to reach a revenue target within it’s allocated budget. Therefore, it’s also incentivized not to promote omni-channel behavior from it’s customers. Any visitor that the ecommerce team spends money on driving to the site is considered a waste of money if they don’t buy on the web site. The revenue targets that the team is held to are completely derived from sales on the website only. So they have every reason to not promote the idea that the customer could go in the store. The same goes for the retail marketing team. Their advertising efforts are designed to draw visitors to the store. Every sale that happens online is one that doesn’t happen in the store and affects their bottom line. As a result, many marketing tactics are left unrealized – especially the efforts of using the internet to drive in-store sales. This is why no online marketing department wants to spend money on search ads on mobile – those people aren’t buying on the website, their buying in the store. Hence Google’s preoccupation of educating advertisers about all the different ways that customers use Google to decide to buy – instead of just focusing on when customers decide to buy on their desktop computers. The solution here is to put both offline and online store teams on the same budget and revenue target. Easier said than done.